For holidays, I like to give gift cards. I’m terrible at buying gifts, so this is a good option that takes the pressure off. Since it is a small sized gift, I like to present it in a way that makes it feel more substantial and special, for those who deserve it of course (see my craftworthiness article to learn more). Felt: you can get this for $0.30 a sheet at Michaels, and my local dollar store has it for $0.25 a sheet, so a very inexpensive material. I had some felt at home already from a previous project (like my felt succulents), so I wanted to use it up. Needle + Thread: I like to use embroidery floss to make the stitches stand out. I got a pack of 8 colors for $1 at dollar tree. If you only have regular thread you can double it up on your needle to get thicker stitches. Ribbon: You don’t need a lot, again you can get cheap ribbon at the dollar store. I always keep ribbon I get with gift wrapping and re-use it. A template: I traced around a gift card on some cardstock, then shaped my stocking around it, leaving a bit of space around the sides for stitching. You also need a little rectangle piece to go at the top of the stocking, you can leave it plain or scalloped. 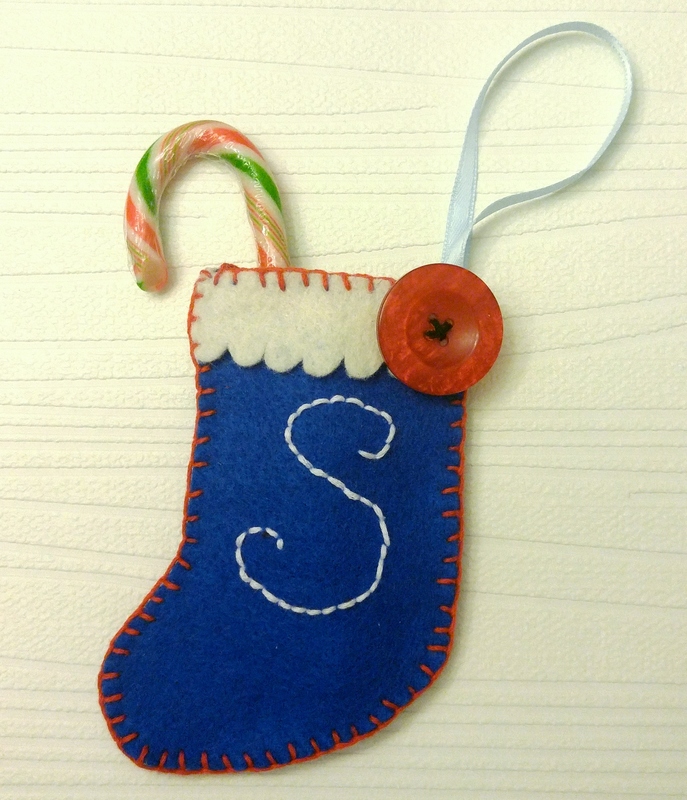 Decorations: you can use buttons, sequins, appliques, or anything else you can stitch on there! A few other ideas are little jingle bells, or metallic charms. 1) First, trace the template on a piece of felt, then cut it out. 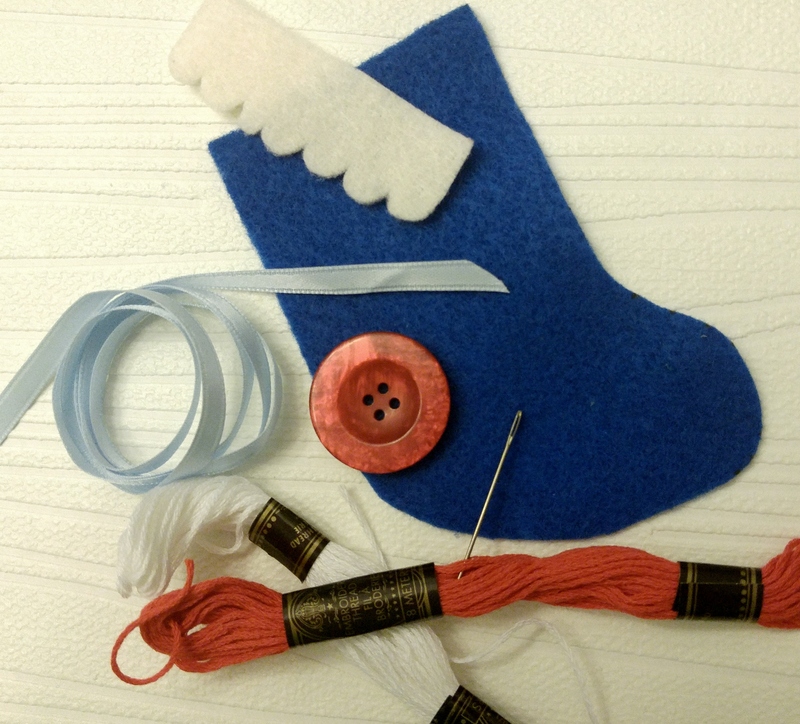 You will need two of the “sock” shape, and two of the rectangle shape. 2) Now is the time to decorate the pieces. You can use basic embroidery, or add anything else you would like to make is special and personalized for the person you are making it for. 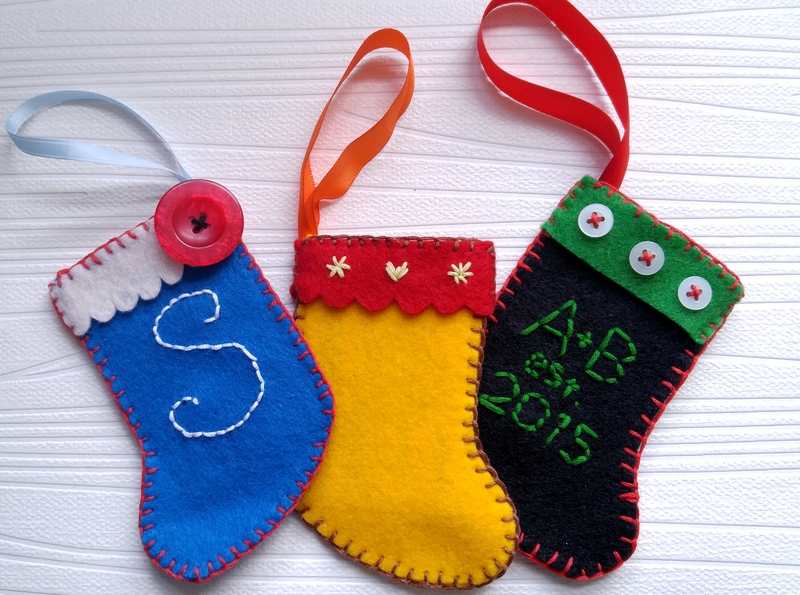 Also add the ribbon at the corner of the stocking with a few stitches. 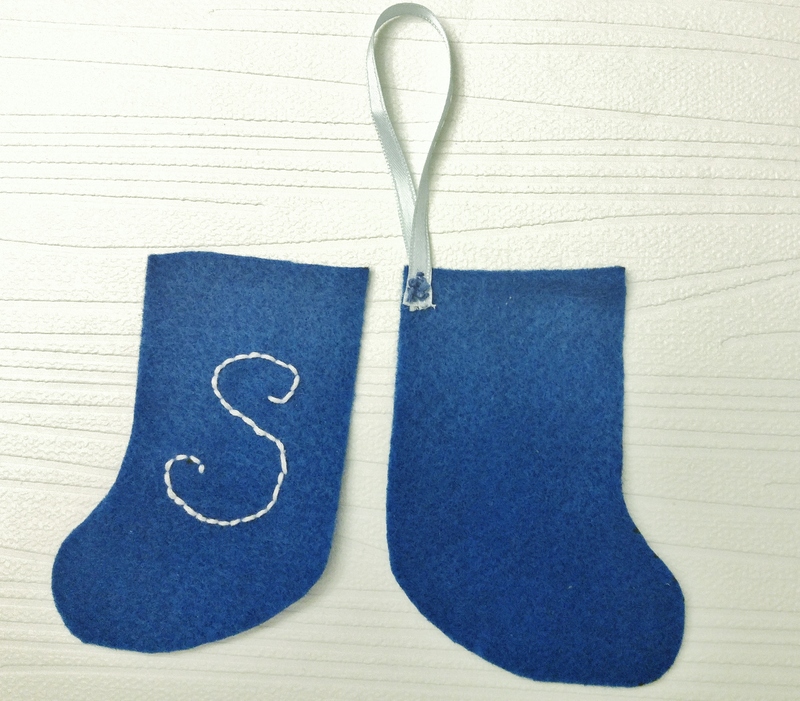 3) Now sew around the sides and bottom of the stocking, connecting the 2 pieces together. 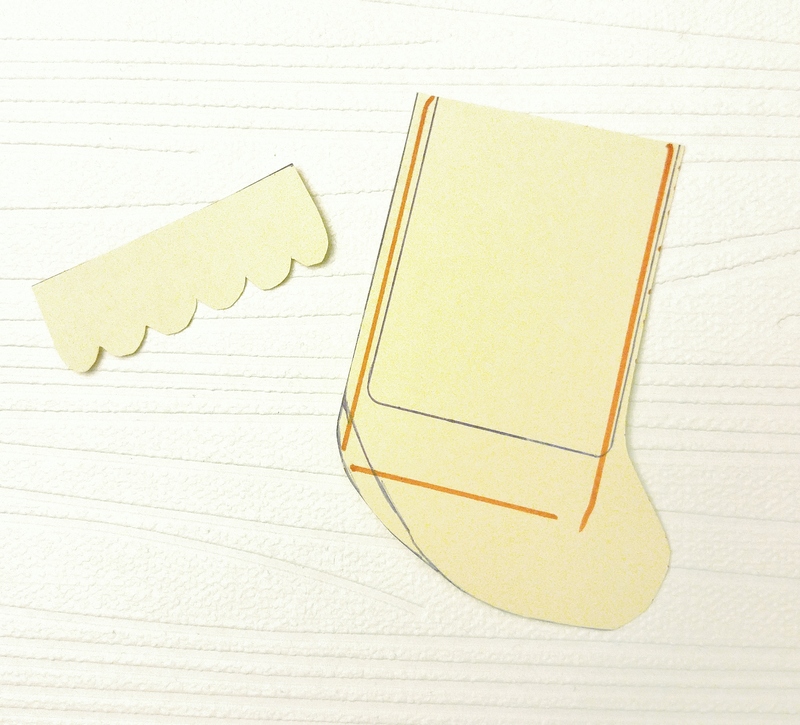 Lastly, sew the rectangle parts to the stocking, and to each other around the sides. Done! Now you can tuck in your gift card, or any other special treats, and you are finished! If you want more of a glitzy look that is not quite this rustic, you can sew or glue on some sequins or beads, or go crazy with glitter glue. I like both looks, so its up to you! You can put things inside! I didn’t think to do that… I also feel that personalising them is a great idea. It’s really popular at the moment.